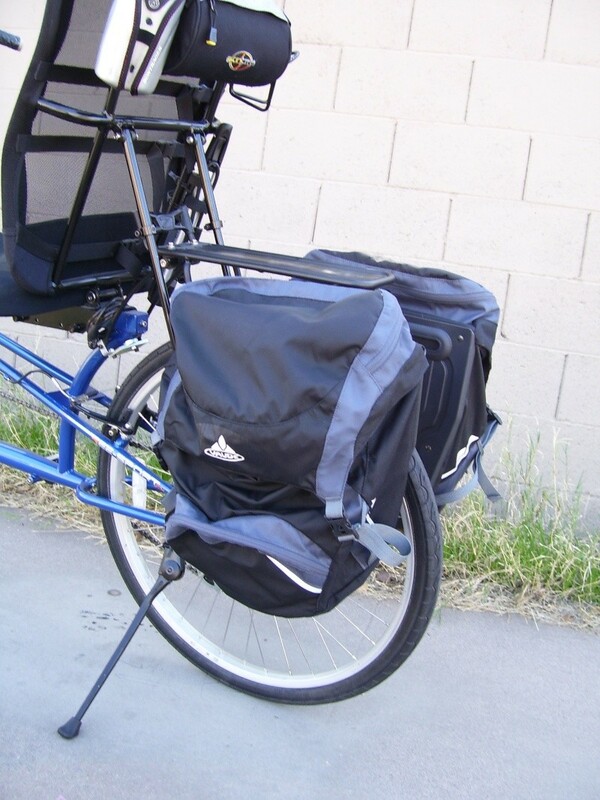 I mentioned these new Vaude Roadmaster panniers, and showed a picture of them mounted on my backup commuter, in a previous post: New Panniers. Here's an update, with some pictures of them mounted on my main commuter, my Sun. As you can see, they fit down on the second rail of my Zéfal Raider rear rack. 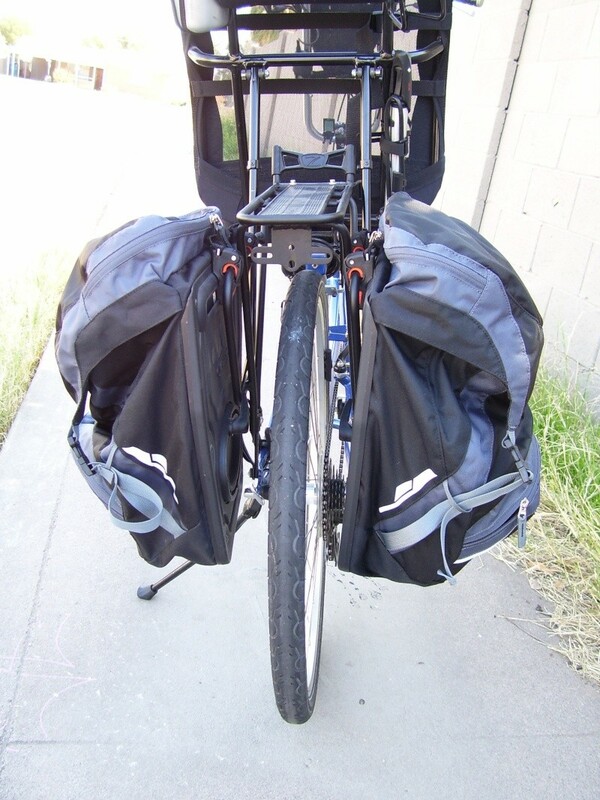 So a rack bag which is put on top of the rack won't interfere with the quick release function. 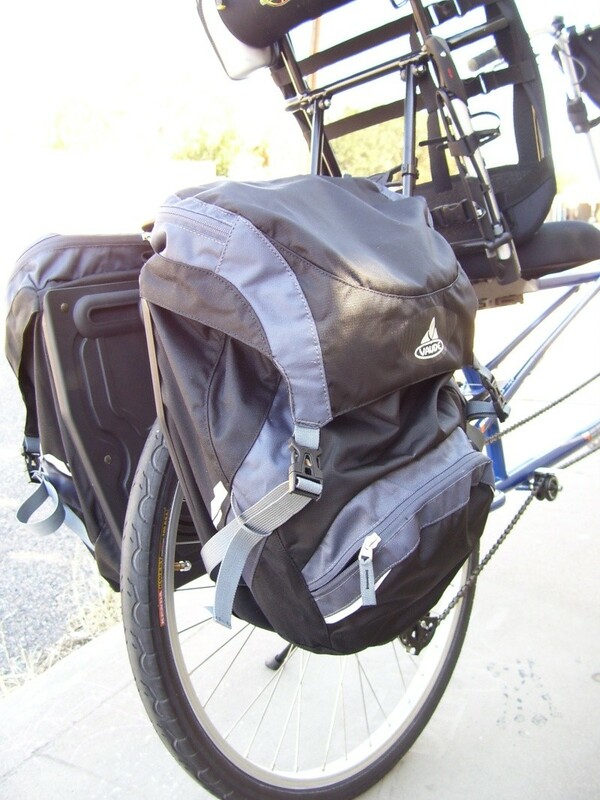 But since these Roadmasters are over twice as large as my old panniers, I don't need a rack pack. Which means I have to dig out the clamps for my taillights, since I have them mounted on my rack bag. It swallows my 15.6" laptop with NO problem! 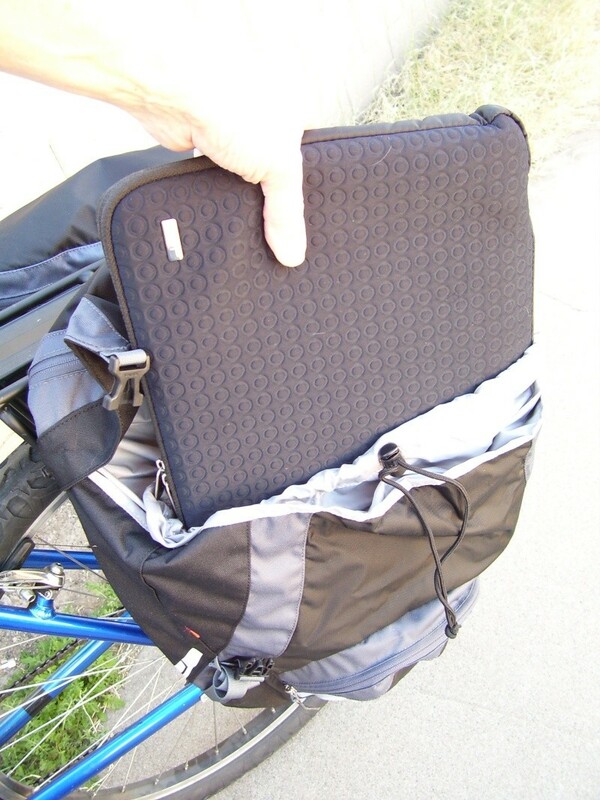 (I haven't checked it, but I bet you could get a 17" laptop in there.) And there's STILL room for my change of clothes, a week's worth of lunches, my satellite radio and a bunch of other stuff.